Although torrents are back on the rise, there are still dozens of webs going down every month. Some of them manage to make a comeback, but others decide to step aside and move away from this scene. 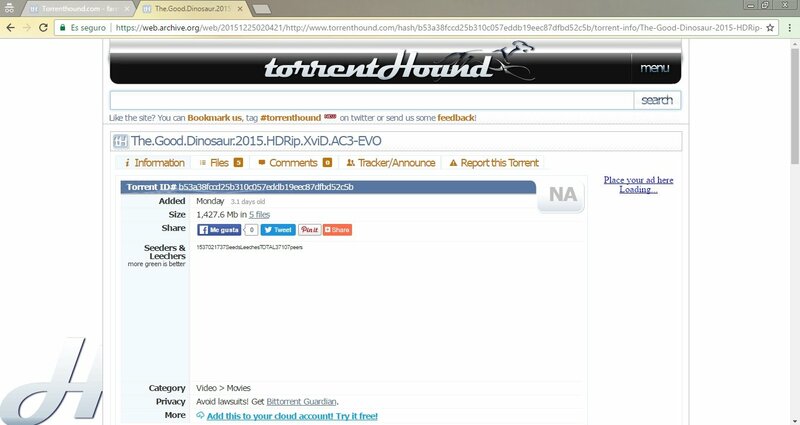 That's the case of TorrentHound that was one of the best P2P (peer-to-peer) file distribution pages for the download of .torrent files. For such purpose, it scanned the network using a tailor-made filter to find and locate torrent files as soon as they're available, although it also accepts uploads carried out by the web's users. The system used was very simple, very similar to the rest of torrent download sites: a term was inserted into the search bar to unlock the content index in question. The page worked by means of proxy servers offering the user both .torrent and magnet links, being able to organize them by title, upload date, seeder ratio, leechers, and tHR (trackers). It also used to offer us the direct download of files. Its statistics also offered us a very interesting section about visitors, previews, and downloads every 24 hours. It wasn't very useful, but at least very curious. At TorrentHound they're taking their shutting down with plenty of humor and resignation, offering users alternatives to the service they offered until not so long ago. The Pirate Bay, 1337x and ExtraTorrent or RARBG Torrents are some of them. Another decent option could well be TorLock, quite a young web and rather unknown that's starting to make itself a name on social networks.